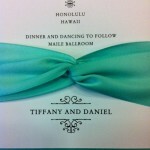 Menu Cards are a great way to greet your guests at the reception table. 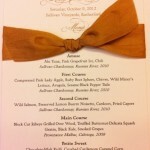 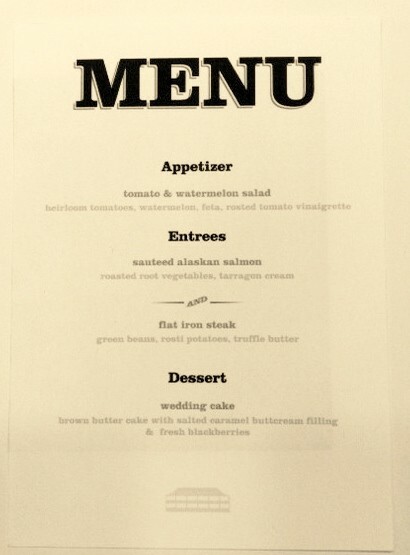 The example below illustrates a simple Menu created to match the venue consisting of Appetizer, Entrees, and Dessert! 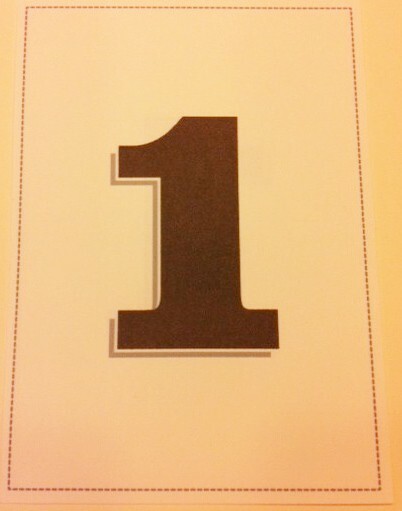 These black and white table numbers are a great way to direct your guests to the correct tables at the reception.